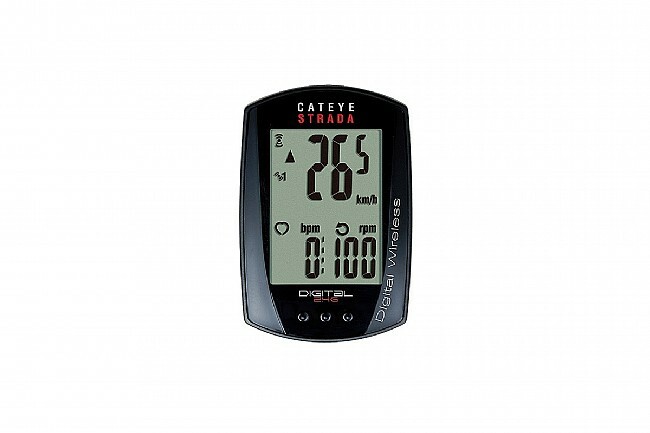 With the Strada Digital 410, Cateye has updated their classic wireless computer with wireless cadence and digital technology, allowing you to push your workout to the next level. 2.4GHz digital double wireless speed and cadence transmission for easy installation, and reliable performance with no cross talk. 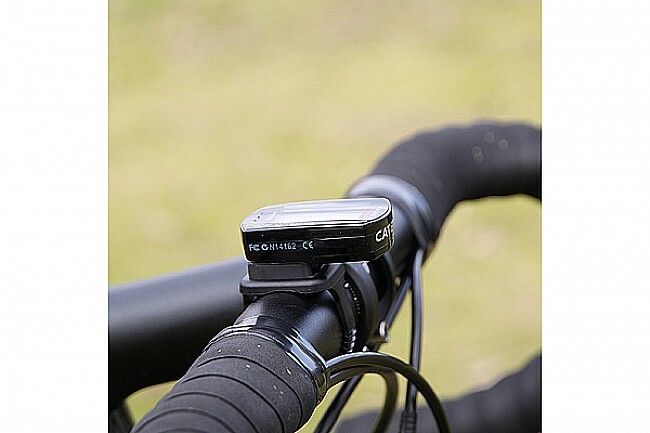 The Strada Digital Wireless 410 Cadence includes the universal Flex-Tight handlebar mounting bracket and a wireless cadence sensor. 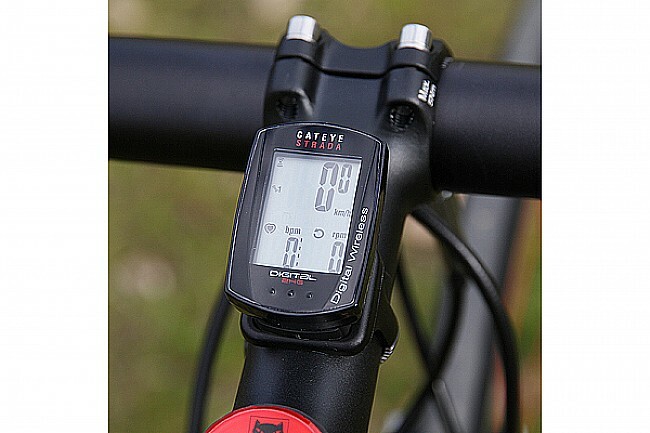 I put the Cat Eye Strada Digital Wireless Cadence computer on my new touringcommuting bike and have logged 1500 miles. It is accurate and has worked well in cold and wet weather. Setup isn't hard, as long as you have the instructions. Buyers need to be aware of two shortcomings. This computer may not work in close proximity to the new LED lights and it seems to use a lot of batteries. I'd still recommend it to a friend as a reliable speed and cadence measure. Product screen is small. Initial set up is complicated. Solid little computer that works great. 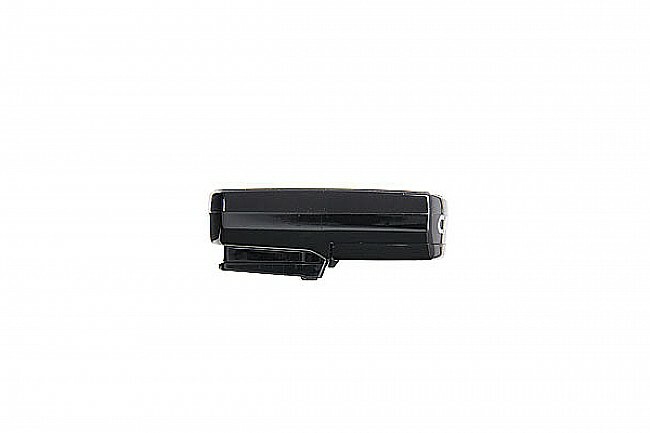 One complaint is that it can be tough to replace batteries as the unit gets older as the plastic slots start to wear. Also the last unit I purchased the batteries needed to be replaced immediately. I have two of this model , easy to use , works well , nice compact size . Very happy with this bike computer. Was an ez install on the bike. It was a bit involved to set it up, but figured it out after couple time of messing up. Bought this to replace my aging wired Mity. Since it did so well over the years, I decided to go with Cateye again. Went with a unit with a cadence function since I don't need run wires to the crank. Pros: Transmitter unit is a convenient one piece construction that straps to chainstay instead of separate speed and cadence units. Bracket band is easy to cut to size after clamping down. Easy one-button control while riding. It has the option of adding a heart rate monitor, so you don't have to buy a new computer if you want it in the future. Cons: Removal from the bracket is tricky since you WILL depress the button while sliding it out, if you depress the button too long before the computer releases, you can accidentally reset the trip data. Inputting the settings (2 buttons) not as intuitive as the cycling through the riding functions (keep the instructions! ), but you only do it once. Cadence function only shows real-time data, it will not store stats like MAX or AVERAGE cadence. Tip: I find the provided cadence magnet inconvenient (straps on with zip ties) and ugly. If you have pedals with cro-moly spindles, just get an 1/2 inch rare earth magnet (mine were 3mm deep) and stick it to the spindle inside the crank eye. These magnets are very strong and can operate the sensor at longer distances. Just make sure you get magnets with a hole in the middle so it is easier to remove (good luck trying remove it with just your fingers). Some people said the display is smaller than average and is hard to read. I have a mild prescription (-1 diopter, add 0.25) and can see the display without any problems. The computer was easy to set up, and functions very well. 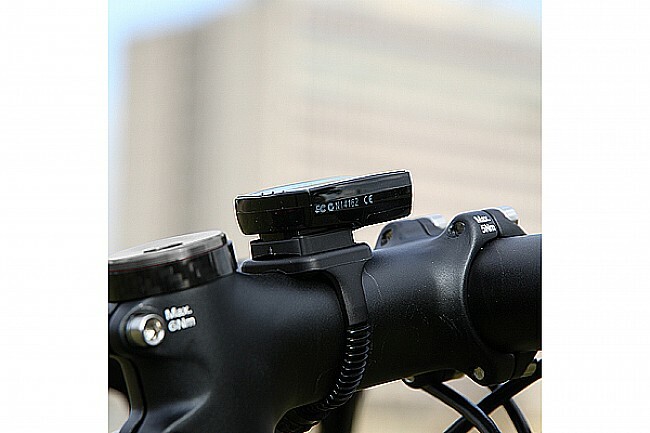 The single cadence/wheel sensor was also convenient. My only (personal) complaint there is no way to have current speed/cadence/trip distance information displayed simultaneously.